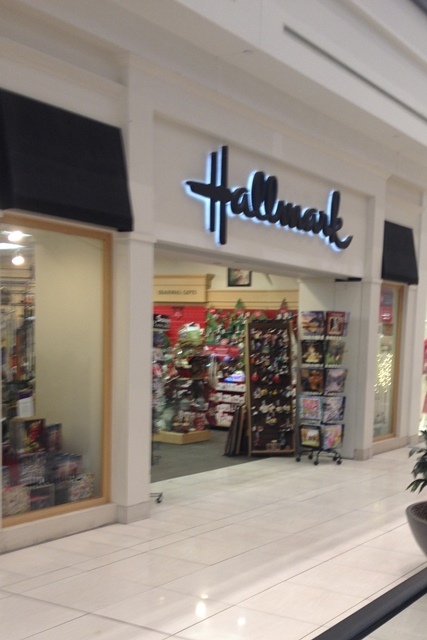 Hallmark in St Laurent Shopping Centre Po Box 63 is here for all of your gift, ornament and card needs! With a broad selection of year-round and seasonal gifts and greeting cards, our Davis Agency Hallmark store in the ST. Laurent Shopping Centre is the perfect store for all of your special occasions. Our selection includes cards and gifts for annual events and holidays like birthdays, anniversaries, Valentine's Day, Easter, Mother's Day, Father's Day, Halloween, Thanksgiving, Christmas, Hanukkah, New Year's, and more! Let us help you celebrate major life events, as well. We're proud to offer gifts, cards and more for baby showers, baptisms, First Communions, confirmations, graduations, wedding showers and beyond. When you need to send support and encouragement, we offer a selection of thinking-of-you, get well and sympathy cards. With our variety of products, including home decor, picture frames, photo albums, puzzles, jewelry, stationery, collectibles, Christmas ornaments, candles, candy, books, gift wrap, stuffed animals and kitchen goods, we have gifts for kids and adults alike. Our Davis Agency Hallmark store in the St. Laurent Shopping Centre is your holiday shopping destination for great stocking stuffers and games the whole family will enjoy! Product selection and availability varies throughout the year, so stop by today and check out what's in store for you at our Hallmark store.